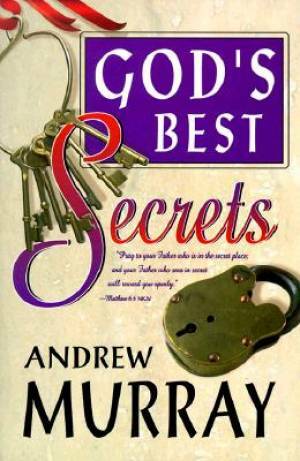 Gods Best Secrets by Andrew Murray was published by Whitaker House in February 1999 and is our 25632nd best seller. The ISBN for Gods Best Secrets is 9780883685594. Be the first to review Gods Best Secrets! Got a question? No problem! Just click here to ask us about Gods Best Secrets.